Inheritance disputes arise for a number of reasons for lack of knowledge & approval, testamentary capacity, undue influence, invalid execution, or fraud. If you have been treated unfairly, or have received nothing or less than your rightful inheritance following the death of a relative you may have grounds to make a dispute the Will. Going Legal specialises in resolving disputes over wills and inheritance cases. To discover whether or not your inheritance dispute should be investigated further, you should speak with one of our specialists who will discuss with you the process and (should your claim qualify) introduce you to an experienced Solicitor to proceed with your case on a genuine No Win, No Fee basis. One of the most common reasons that you may be wishing to dispute your inheritance is that of unreasonable financial provision. What constitutes ‘reasonable financial provision’ is defined by the Inheritance (Provision for Family and Dependants) Act 1975. Essentially, this is for the court to decide; however a number of issues will be taken into account, including Your current financial resources and needs and the needs you are likely to have in the foreseeable future; any obligations or responsibilities the deceased had towards you; the size and nature of the estate and any physical or mental disability you may have. Any person who was supported by the deceased prior to death may make an application for financial provision. This provision applies not only to the spouse or civil partner and legitimate children, but may also include illegitimate children and non-relatives who may have been maintained either wholly or in part by the deceased prior to their death. If this is your situation then you may have grounds for a claim. Who to Trust to Handle Your Claim? 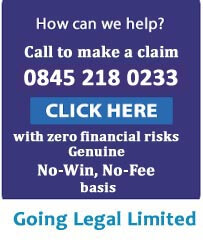 When choosing who to trust to claim your inheritance, we recommend that you consider how many years they have been established, the value of compensation that has actually been recovered for clients, whether the Wills and Probate solicitor will make sure that you receive the maximum inheritance due to you on a commercial basis, should your case be successful, whether your claim will be pursued on. No Win, No Cost, or No Win, No Fee basis and whether you are made aware of the important differences and whether complex or difficult cases are welcomed. Time limits apply to bring an inheritance dispute claim, so you should not unnecessarily delay. Speak to us in confidence today by calling our 24hr Claim Helpline on 0845 218 0234, or completing the short enquiry form opposite.